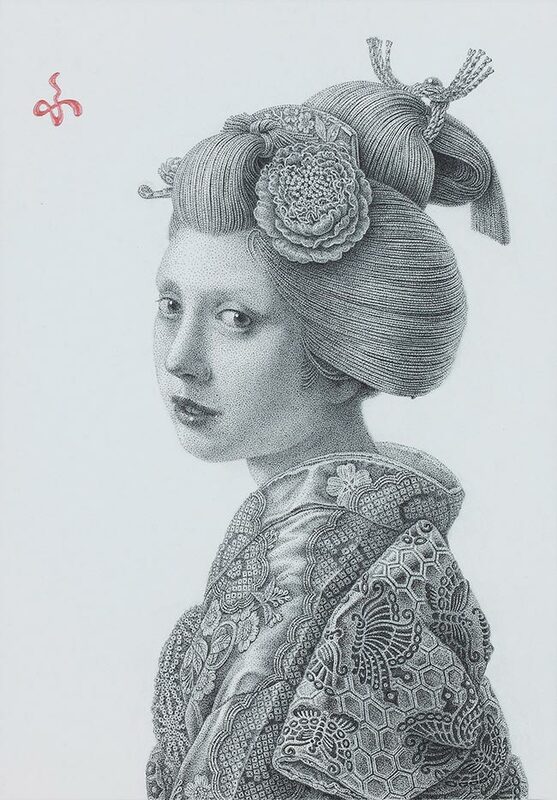 Futaro Mitsuki was born in Tokyo in 1970 and in 1998 he graduated from Tokyo National University of Fine Arts and Music. 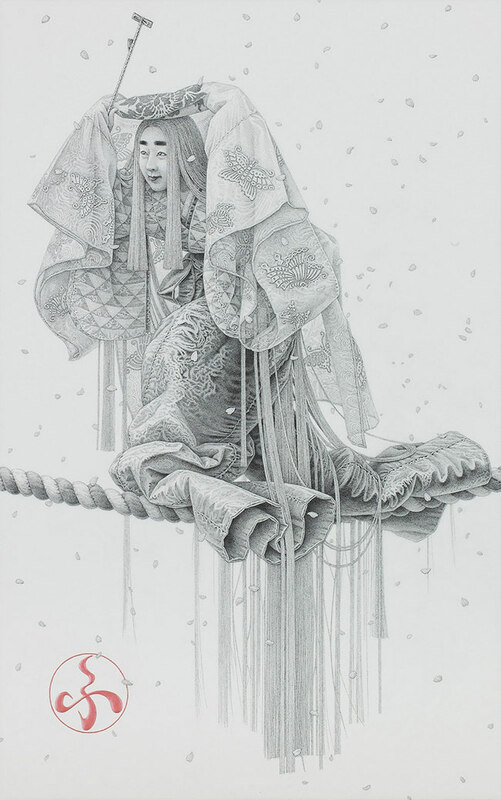 He currently lives and works near Tokyo in his private studio. 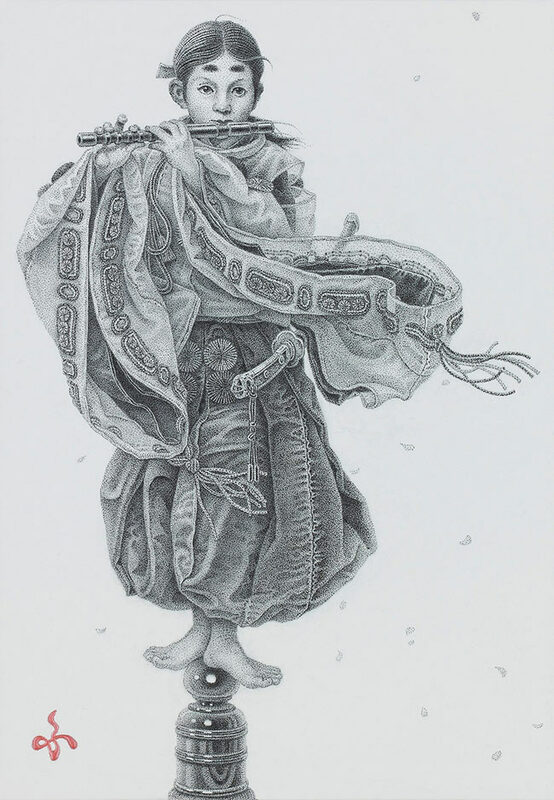 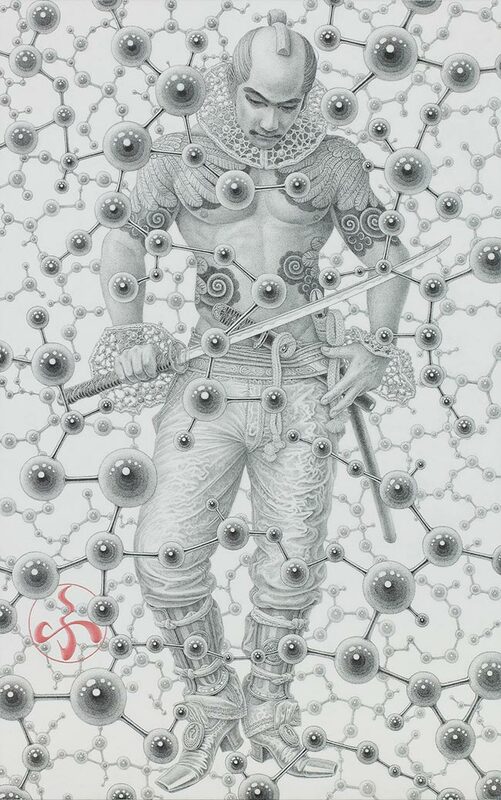 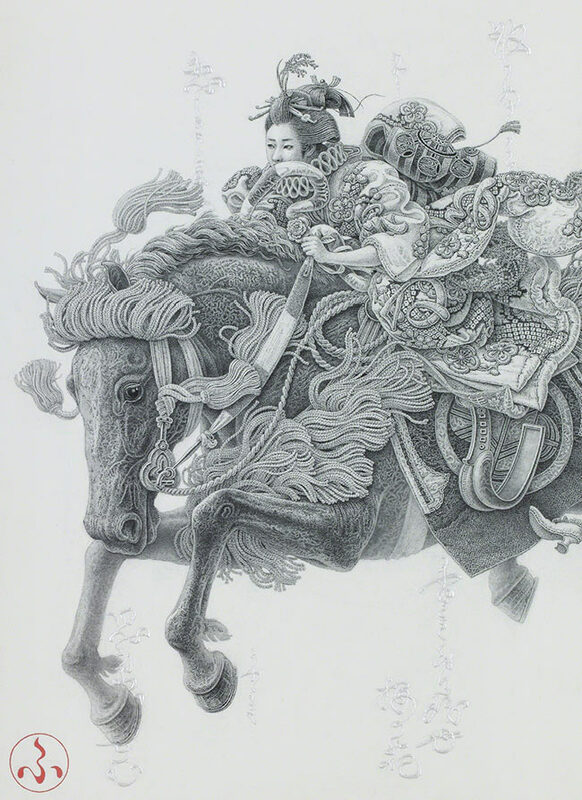 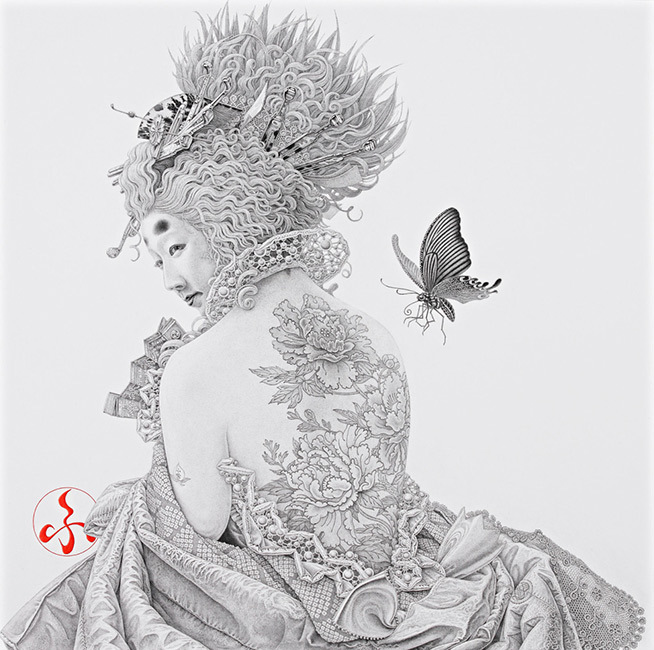 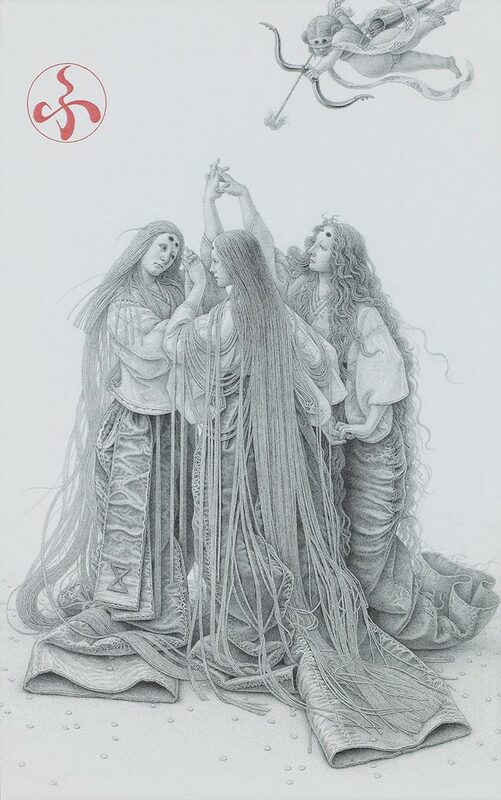 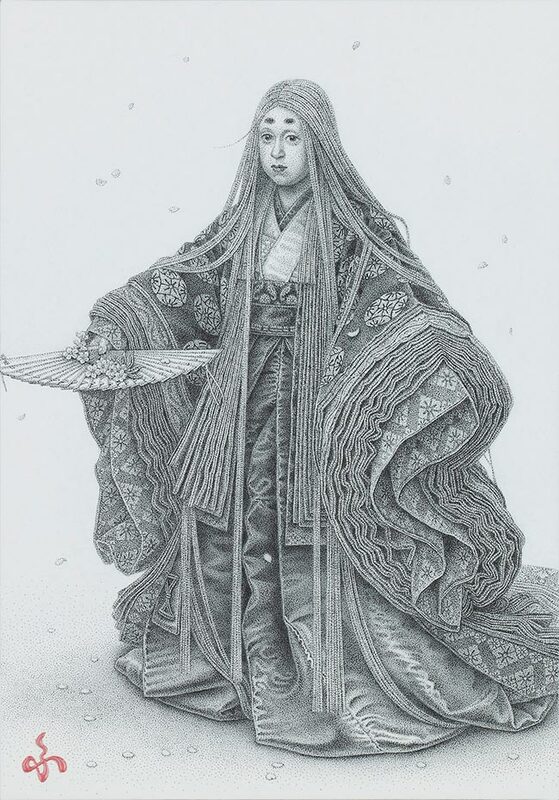 Mitsuki blends ink, acrylics and pencil utilizing pointillism and mythology to carefully craft hyper-detailed monochrome drawings and colorful paintings. 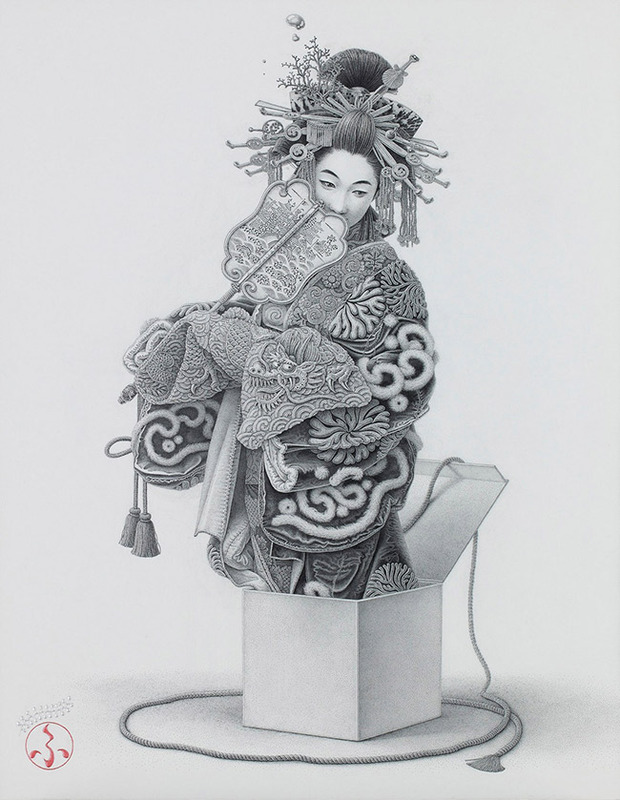 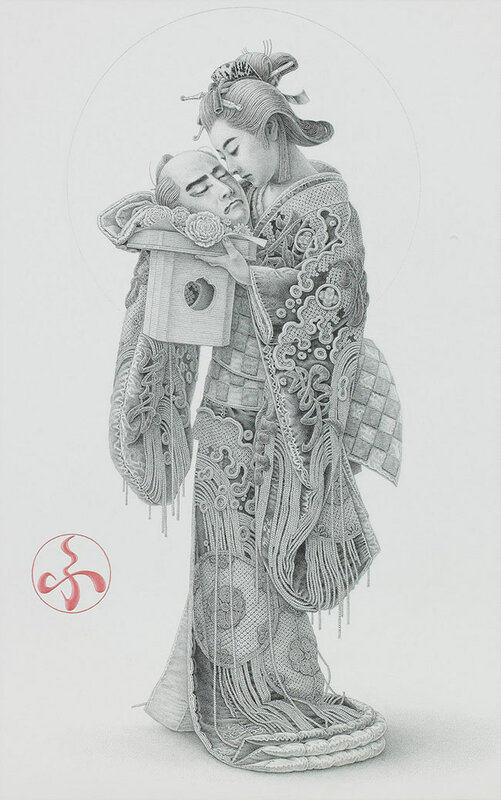 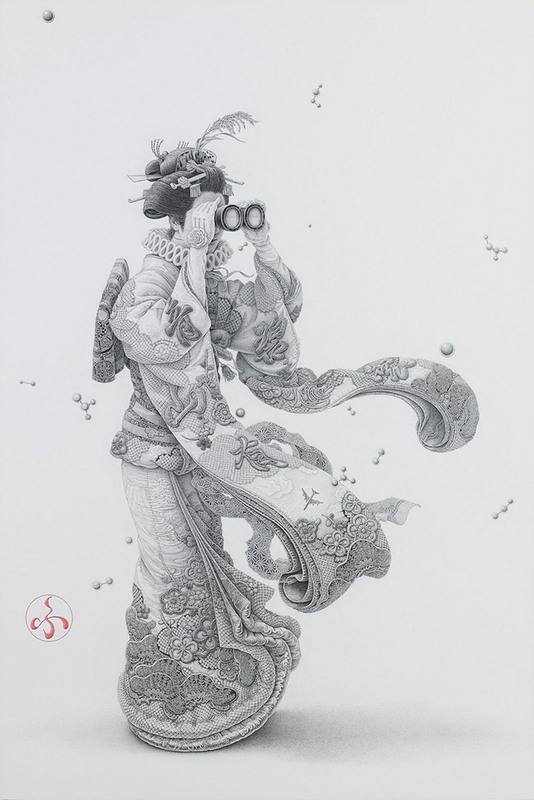 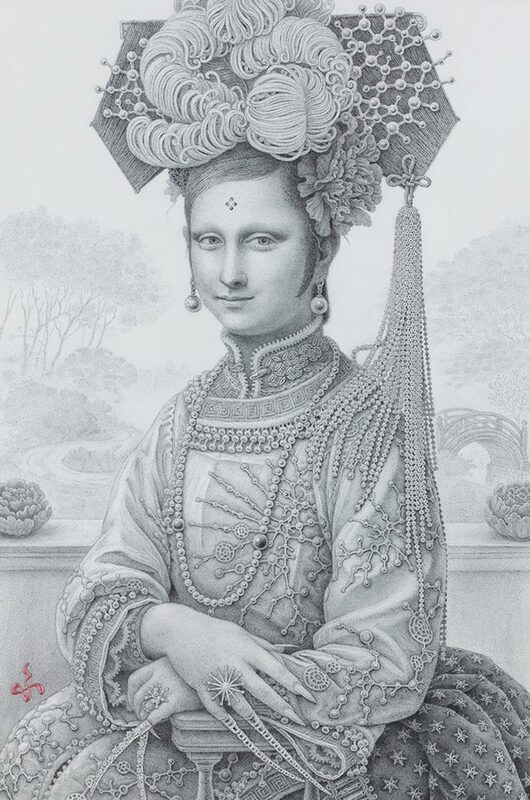 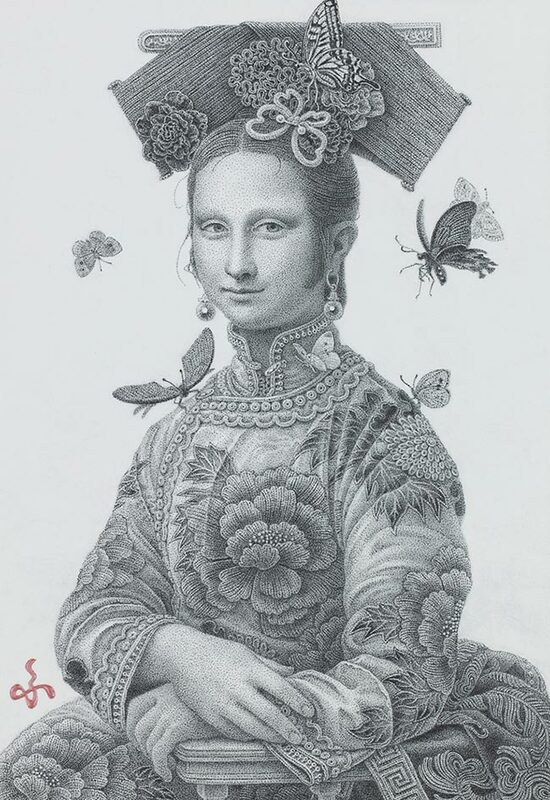 He draws inspiration from traditional Japanese portraiture, combining a contemporary twist and merging Japanese culture with western influence.